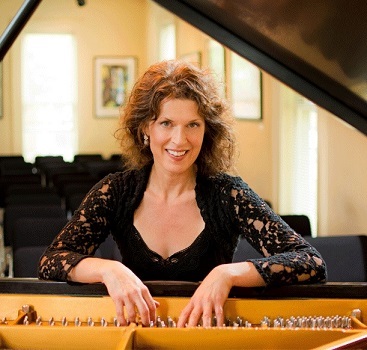 Pianist Kathryn Goodson, an international performer, teacher and coach, has performed collaborative recitals with vocalists and instrumentalists throughout the United States, Europe and Japan. In her Ann Arbor, Michigan community, she is a coach for the University of Michigan School of Music and a regular ensemble performer for both the Ann Arbor and Detroit Symphony Orchestras. Her teaching projects include an annual course in American Art Song at the Musikhochschule Karlsruhe and a master class offered to American schools, Songs4Winds. Her collaborative playing has been documented on CDs released by Innova, Albany and Equilibrium. Belle Nuit, a 2-CD set of romantic French music curated and produced by Goodson, was released by Parma-Navona Records with NAXOS distribution in 2014. Performance partners are bass trombonist Randall Hawes, saxophonists Timothy McAllister and Donald Sinta, and hornist Gail Williams. For biographical information in PDF format, click below.